The glare of the setting sun makes sunset one of the most dangerous times you can drive your car. If you're windscreen is dirty, the problem can become a lot worse. For this reason it is important that you keep your car's glass clean and smear free at all times. Use Crystal Clear and that task will become a whole lot easier. Crystal Clear works hard to maintain the visibility of your car's windscreen and other glass, by producing a deep clean that removes all dirt and grime without creating smears. 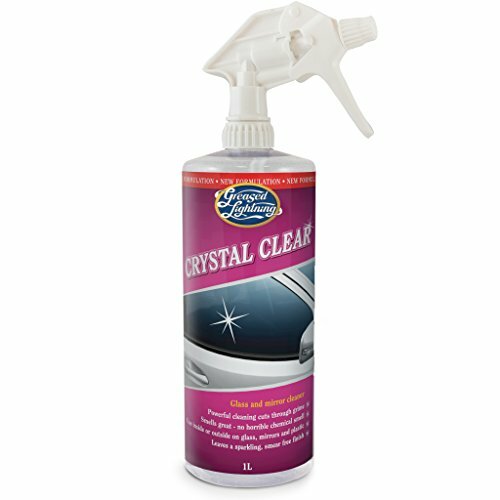 Crystal Clear will keep your car's glass cleaner for longer, helping you to maintain maximum visibility in dangerous driving conditions.